"MY LIFE BEGAN AT FORTY"
Ten years in the making, this real-life journal of a drug trafficker's 6 years behind bars is a revelation, and has become an invaluable resource for criminology professionals - it is as close to living the reality of prison life as most of us will ever get. Prolifically written, Michael's first journal entry reveals his first days in prison, awaiting trial, while the last entry ends the book on the day he leaves. In between, Michael shares with us his criminal trial, sentencing fears, life behind bars, physical and mental health concerns, his loves and his regrets. We also share his joy and pride at his successful efforts to turn his life around. This inspiring book is a must-read for anybody who feels unable to rehabilitate, and a fantastic resource for those with loved ones - or themselves - facing time in prison. Michael Irwin was born in Belfast in 1967, and grew up with "The Troubles" a part of his daily life. In July 2007 was arrested at Gatwick airport, attempting to smuggle cocaine into the UK - he received a 12 year prison sentence. Throughout his time in prison, he lived with lifers in notorious institutions including Durham, Brixton and Maghaberry. Michael used his time constructively, writing his biographical journal daily, and spending his days reflecting, studying and counselling other inmates. In 2014 he received his BA in Criminology and Psychology from Queen's University, Belfast, and later achieved a Masters in Criminology. 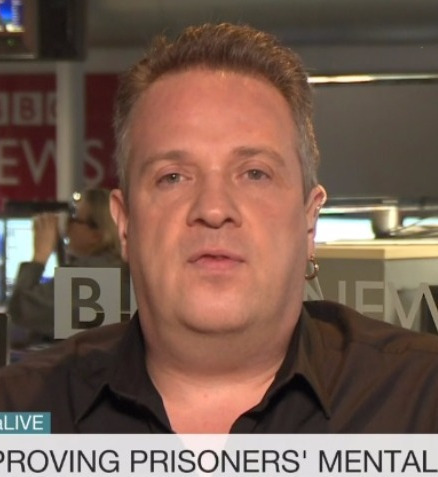 Since his release, has become a highly sought after, regular guest speaker, appearing in prisons, universities, and on BBC television and radio shows, campaigning for reform to the prison system, and championing prisoners' mental health issues. 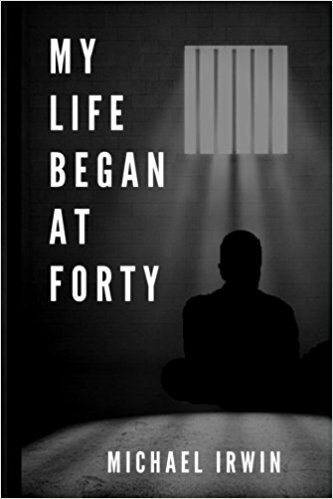 "MY LIFE BEGAN AT FORTY" is published by L.R. Price Publications, and is available to purchase from their website, priced at £13.99. WANT TO ADD YOUR BOOK TO OUR FEATURED LISTINGS? All books on which we carry out editorial and promotional work are automatically listed free for life in our FEATURED BOOKS library. But, don't fear if you are not one of our clients - if you want us to feature your book, we are happy to do so for a small fee. Simply fill out the form below and send us the cover. All listings will include a book cover, blurb and whichever link to buy your book you provide us with. New additions will be shouted in the next issue of our regular newsletter, our Twitter account, and their covers listed on our Pinterest page "Featured Book Listings". Your cover will appear in "feature" size at the head of the FEATURED BOOKS page for 30 days, and each listing will be given its own sub-page under the FEATURED BOOKS section on this website; this page will include book blurb, your author bio, and links to your blog/website, bookstore listing and social media accounts. We will also promote your listing on our Twitter and Facebook accounts. * We can only guarantee your listing for as long as we offer the service. If we discontinue the service for any reason you will be refunded for any months outstanding on a pro-rata basis of £1.25 per month. In accordance with our pro-rata policy, for the "Lifetime Listing" service a refund is only applicable to those listed for less than 20 months. Under no other circumstances can a refund be offered for the paid book listings service.